Happy 150th anniversary to DaFruits, which was birthed in the blessed month of December. Thank You God for faithfully seeing me through, for constantly revealing and speaking, and for Your grace. I pray today for sensitivity in the Spirit, for divine revelations, and for God’s grace and mercy. To be fair few kings walked in the ways of The Lord in those days, even few walked wholeheartedly in the ways of The Lord. Sadly, it is no different from today. Only few are walking in righteousness. In a time whereby we are living under God’s grace, Christians must have a heart of repentance. If we continue to walk in sin, then we will only end up delivering ourselves into the hands of satan. So Jehoahaz humbled himself and pleaded with the Lord, and the Lord had mercy upon him and his people. Children of God it really is only by His grace. Pray that He never takes His presence away from you. His presence is literally heaven to me. It’s by dwelling in His presence that I receive revelations from His Word, His presence is powerful. Let’s also remember to intercede for the nations. Why is there still war between Syria and Israel? The answer is in this scripture. I want us to understand that The Word of God is prophetic. “And he said, “Open the east window”; and he opened it. 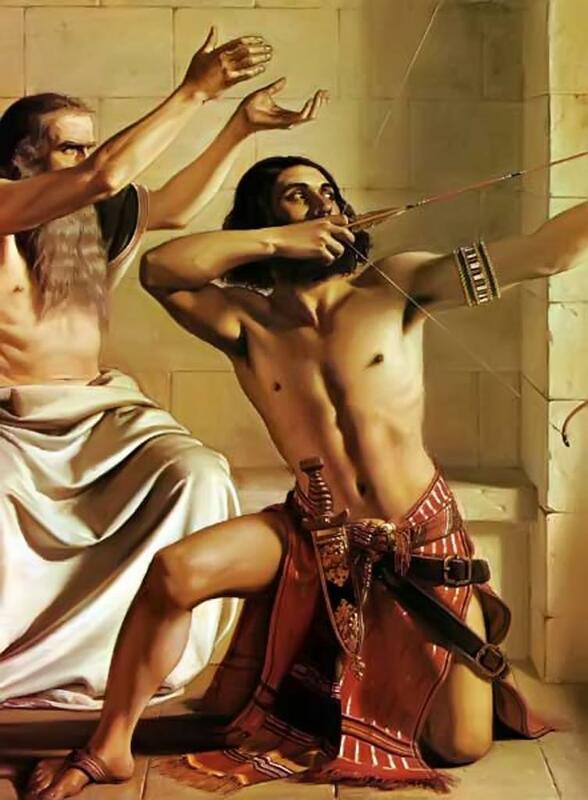 Then Elisha said, “Shoot”; and he shot. I wonder why the man struck the ground only three times, and stopped. Perhaps he grew weary of striking the ground, or maybe he had no understanding of why he had to strike the ground, and therefore he might have believed that it was pointless to continue doing so. I pray that we will be quick and not slow in our discernment in Jesus Name. 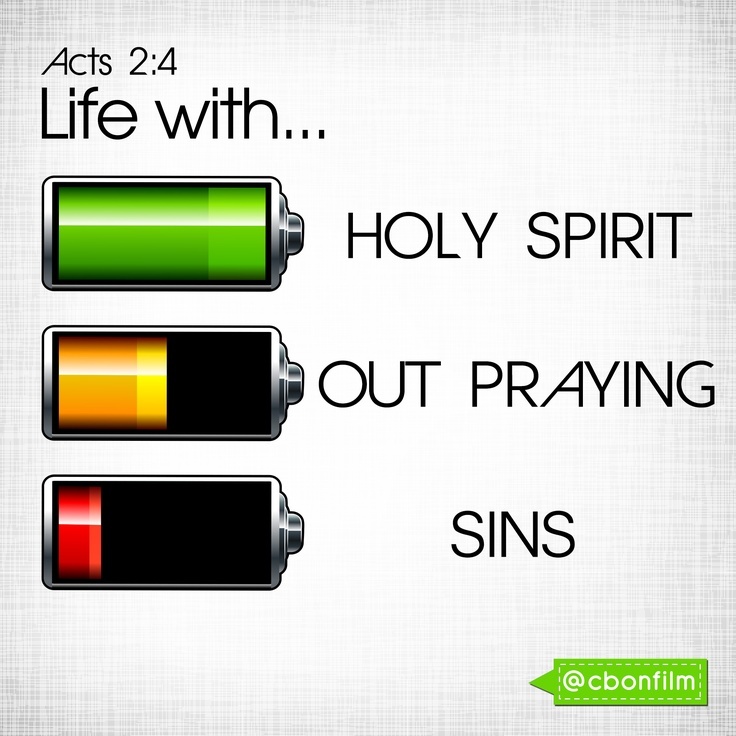 I pray that we will be in tune with the holy Spirit in Jesus Name. There are some things that The Lord has commanded us to do that if we do not respond quickly, there may be dire consequences. May we be quick in Spirit to respond to the call of The Lord. It is true you know that there are some things concerning the will of God that if we do not respond immediately to, we will miss it. I pray that we will never miss that which The Lord wills for us. In these last days it is important that we are sensitive in spirit. That is why it is important to heed to the Word of God, His presence is a dwelling place He shields us against the wiles of the enemy. I pray that we shall be quick to respond to the call of The Lord, and that we shall be sensitive in Spirit to acknowledge Him always. If we are quick to respond to the call of The Lord we will never miss our blessing. His grace is sufficient enough. Everyone needs forgiveness, the kindness of a Savior. Jesus is the hope of nations, that is why He is the King of kings. and that is why He is our Savior, our Lord and King, our Redeemer. He can move the mountains. There’s one thing I pray is that I will not provoke the Lord to anger from being disobedient, but that I will hear Him, and respond to please Him. Dream, Visions, Revelations, Signs, and Warnings. 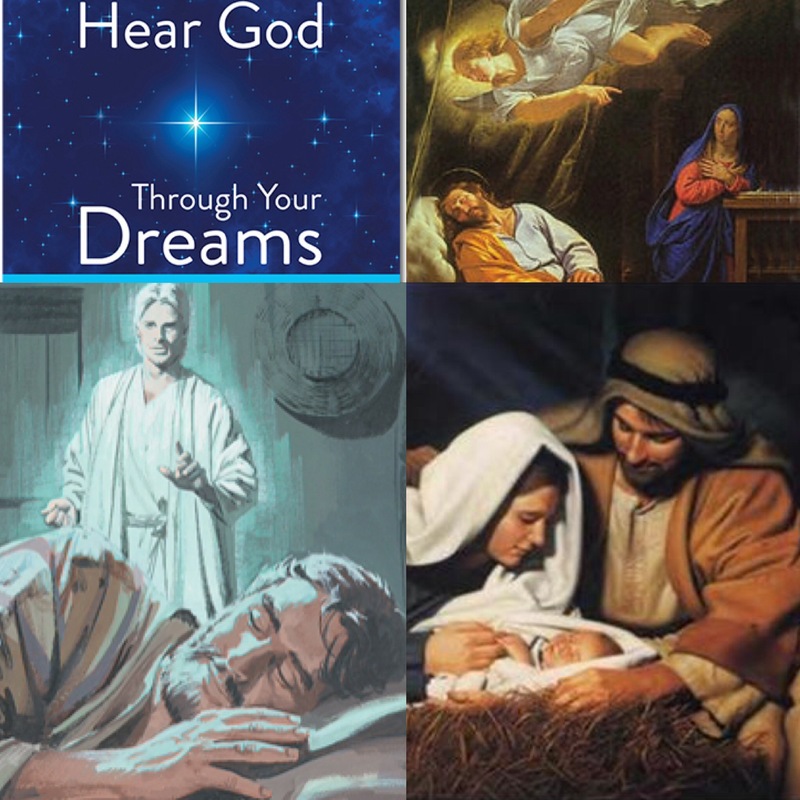 Since we are also soon approaching Christmas the Lord also reminded me that another important way we can be in tune with Him is through dreams, visions, and revelations. God really does reveal to redeem, but the way we respond reveals how in tune we are with His Word. Joseph did not understand the situation, he had his own assumptions and perceptions, but with God we have total and undiluted Truth, Truth that surpasses human reasoning, wisdom, knowledge, and understanding. This would not make sense to anyone, even to Mary herself it would not make sense, but God needed to reassure Joseph and therefore, He reassured His Truth to Joseph through a divine revelation. Joseph first of all knew that this dream was from God, and after he had this dream he responded promptly to the Word of God through obedience. Joseph did not question, and neither did he doubt, he did not go to seek counsel from the high priest, and neither did he confide in his family or friends. Joseph simply obeyed God, he knew the voice of God, he had a discerning spirit, he listened to God, and he heeded to The Word of God. God reassured Joseph with His Word. He revealed what He had already declared in scripture, and we know that forever The Word of God is settled! We know the rest of the story how Mary and Joseph faced some challenges along the way in the pursuit for Mary to conceive safely, but for the simple fact that they had the full backing of God now weapon fashioned or formed against them could ever prosper i.e. Herod, the plans of satan could not work. Mary and Joseph’s journey with the Lord was successful, He never left them, He saw them through. Brethren The Word of God is faithful and true. Learn to protect your destiny with silence. There are some things that should just be left between you and God. It is not everyone that should know what God has said concerning your life, and most certainly it is not everyone that should know your dreams! Learn to be quiet and listen to God when He speaks to you, no matter how crazy it may sound once you know that you know that you know that God has said it then just believe it, and do not procrastinate it. Imagine if Joseph doubted God. Brethren for all the years that I have walked with God, most of the time He says things to me that I honestly do not want to hear for the simple fact that it sounds crazy to me, and I try to sort of convince my way out of what He has said but it never works. Things will only start to work for us when we learn to trust Him enough to yield to His will, and that takes a lot of discerning, obeying, and responding. 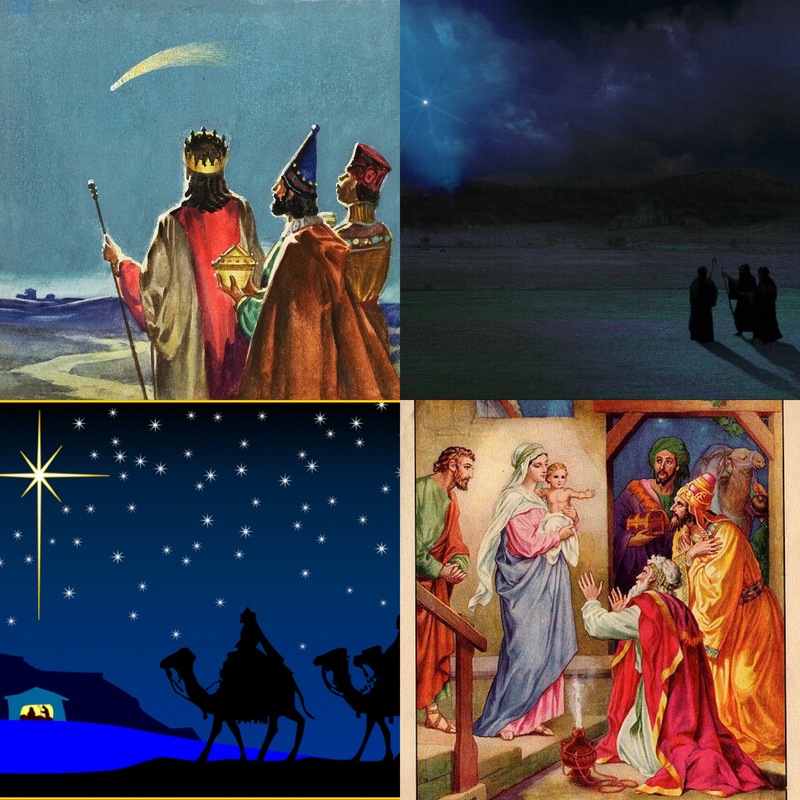 How did these wise men know that the star in the East was the sign of the soon and coming King? That does not just come from earthly knowledge, but by divine knowledge. These three wise men must have been in tune with God, despite all their earthly knowledge, and perhaps knowledge of astrology, they did not disregard the wisdom that matters most, wisdom that comes from God alone, and can only be found in His Living Word, Jesus Christ in which they had sought out to find. Herod did not have a divine revelation of who Jesus Christ was, he inquired of the people but He did not seek God, rather Herod had his own evil desires against the birth of Jesus, and God knew this. The enemy is a liar, and a deceiver. God is Truth, and He can never lie to you nor deceive you. JESUS was wealthy from birth! These three wise men were divinely warned in a dream, and when they were they did not doubt what God had said they simply obeyed God and went another way, and yet again God was with them. You know the most interesting thing about Mary, the three wise men, and Joseph was that they all feared God which means they reverenced, acknowledged, obeyed, and respected God. They did not fear man, they did not fear what man would do to them, and neither did they worry about what others would think about them. For them they knew who God was, and they simply obeyed. 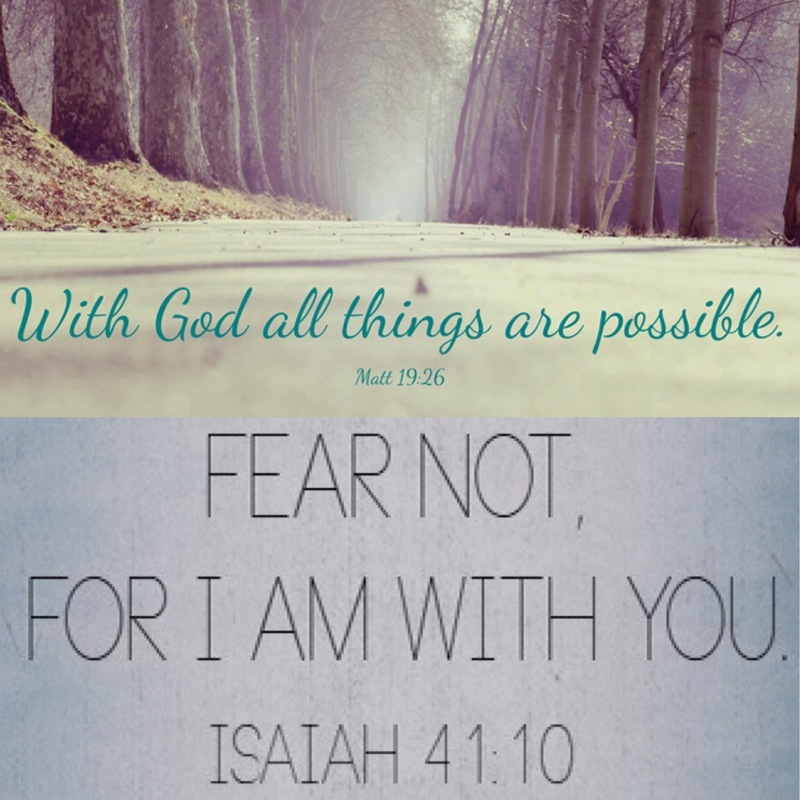 Be rest assured that what ever plan the enemy has against you God will most definitely reveal it to you! God spoke to Joseph in dreams many times, and every time God spoke to Joseph, Joseph responded through obedience. He was quick and did not delay, whenever God spoke he moved. God will divert and destroy your enemy’s, and whilst doing so He shall surely pave the way for you! The enemy may have thought that he had his way with you, but he forgot that it is not over until God says so, God is not through with you. Just trust Him, He will never lead you wrong, He will always lead you right. Even if you are afraid still trust God, for the simple fact that if He has done it before then most assuredly He will certainly do it again. When we are in tune with God then we will realize that everything He does is for a reason. Every time Mary, Joseph, and the wise men obeyed God a prophetic act was revealed according to scripture. You see these strange things that the Lord requires of us, that He speaks to us to do it is all for a purpose to fulfill that which He has promised us according to His Word, but brethren it all depends on your response to His call. Do not delay His Word any longer, and as we are approaching the end of this year be determined to obey God anytime He speaks to you. No matter how close or how distant you are to those around do not speak or share unless The Lord permits you to. Yield your Spirit to His will, and obey Him for He alone knows your tomorrow. God richly bless you, and thank you for reading all that God faithfully reveals. Thanks also to my family, friends, and my bello who has supported me since the birthing of God’s vision DaFruits.